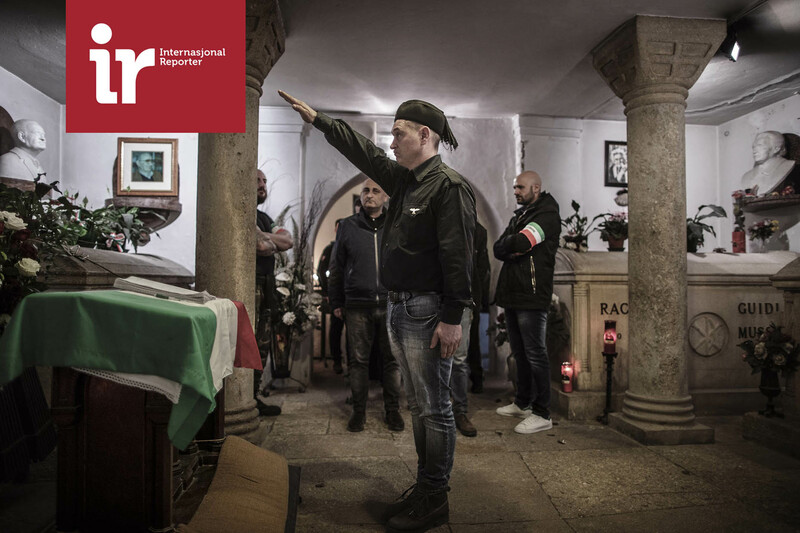 Fascists and nostalgics in line waiting to salute Benito Mussolini's grave. They visit the place in connection with the yearly tribute to "march on Rome". The March on Rome was a march by which Italian dictator Benito Mussolini's National Fascist Party came to power in the Kingdom of Italy. The march took place from 22 to 29 October 1922. In the spring of 2016 we start a year long journey trough some of the darkest places of Europe. Among fascists, nazis, muslim haters, nationalists and right wing populists in 14 countries. What drives them? Why do they hate?